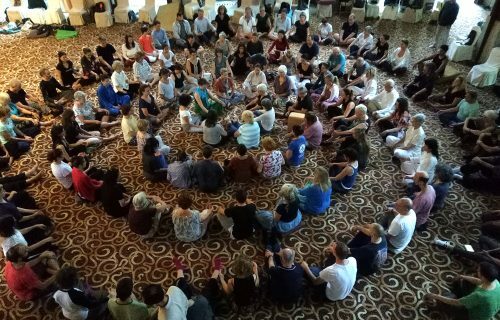 The therapeutic effect of 47,864 patients using Zhineng Qigong in curing their disease is analyzed in this article. The result of the analysis shows that 23.50 percent of them reach the standard of total recovery. The rate of significant curative effect in them is 40.70 percent. The general effective cure rate is 99.05 percent. 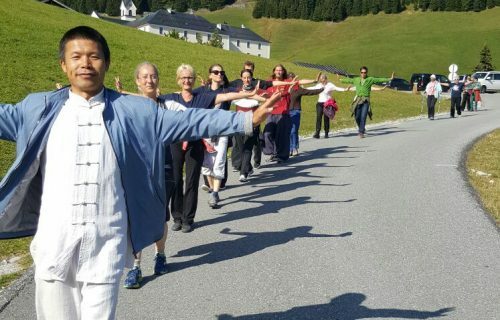 Ever since it came onto being in 1981, Zhineng Qigong has demonstrated an immense power in medical treatment. 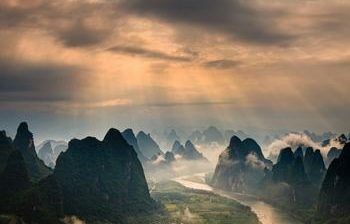 Many obscure ailments have been magically cured with the treatment of Zhineng Qigong. Now we are going to report the therapeutic effect on 47,864 patients (patients with malignant tumor not included) that HuaXiaZhinengQigongRecuperationCenter (the former Recuperation Department of Hua Xia Zhineng Qigong Training Center) has received from Mar. 1992 to Dec. 1996. Among the 47,864 patients, there exist 209 kinds of diseases. The number of male patients is 24,052 and that of the female patients is 23,812. The proportion of male patients to female patients is 1:0.99. The oldest patient is 86 years old; the youngest is 2 months of age. The structure of grouping according to age is shown in Table 1. The course of treatment is generally one to two months. The analysis of the course of treatment is shown in Table 2. 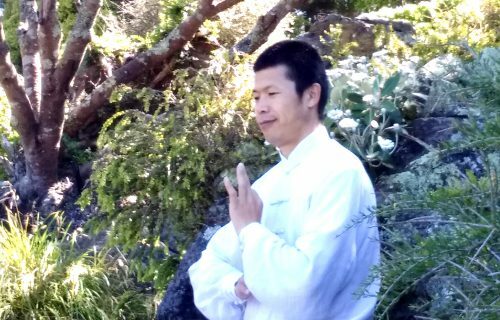 Listen to and watch the video of Pang Ming laoshi’s lectures on Zhineng Qigong theories and Zhineng Qigong practice methods. 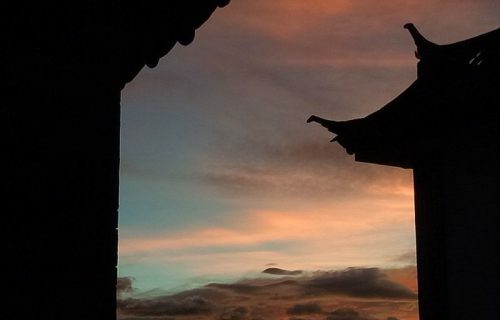 Content of these lectures includes A Brief Introduction of Zhineng Qigong, Applying Consciousness, Cultivation of Dao De, the Theory of Hunyuanqi, etc. 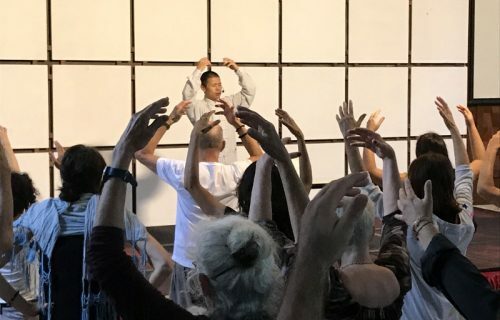 Practice Peng Qi Guan Ding Method (Hold Qi up and Pour Qi down into One’s Body from Top of One’s Head Method), San Xin Bing Zhan Zhuang (The Standing Posture with Three Centers Being Orientated toward Dantian), etc.. Treat disease with multitude modes such as organizing qi field and adjusting qi. Qigong masters’ “talking therapy” (hua liao). a) Clinical symptoms and positive signs have disappeared. b) Patients are spirited, energetic, sleep well and have good appetite. c) The result of all kinds of chemical examinations and specific check has become normal. d) Have stopped using relevant medicines. Those who have reached all the four standards above are regarded as having become completely recovered. a) Clinical symptoms and positive signs have disappeared or basically disappeared. b) Patients are relatively good in spirit; they sleep relatively well and their appetites are relatively fine. the normal state or have been evidently improved. e) Have stopped using various relevant medicines or have reduced the dose in using them. Those who have reached all the four standards above are considered as cases in which the treatment has significant curative effect. b) Patients are improved in their spiritual state, appetite and sleep. c) The result of various chemical examinations and specific check shows improvement. Those who have reached standard a) and b) or b) and c) are considered as cases in which the treatment is effective. a) There is no improvement in clinical symptoms and positive signs or the clinical symptoms and positive signs have become aggravated. b) There is no improvement in the result of all the chemical examinations and specific check or the result of chemical examinations and specific check shows aggravation in patients’ condition. c) The patients aggravate in their spiritual state and their appetite. Their physical strength becomes decreased. Those who show three of the items above are regarded as cases in which the treatment is ineffective. As for specific details, please refer to Diagnosis and Treatment Standard for Clinical Common Diseases (Chief Editor: Tao Tianjun) and Standard for Diagnosis and for Recovery and Improvement of Clinical Diseases (Compiled by the Sanitation Department of the General Logistics Department of Chinese People’s Liberation Army). 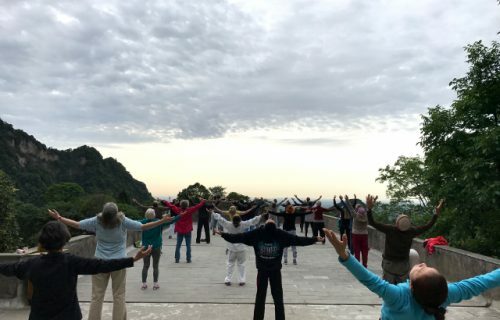 Most of the patients who came to the recuperation center are those who did not have ideal effect in treatment or have no effect in treatment with traditional Chinese medicine and Western medicine before they seek for qigong to cure their disease. They take qigong therapy as their last straw of hope to survive. The diseases they suffer from are basically chronic and persistent diseases, or the so-called “incurable diseases”, that are hard for modern medical science and traditional Chinese medicine to deal with. Their courses of disease are relatively long (we investigate by choosing samples randomly from 468 patients. The longest course of disease in them is 36 years; the shortest is one month; the average course of disease is 6.8 years) and their conditions are relatively severe. Zhineng Qigong Medical Science (Hunyuan Medical Science) takes patients of this kind as their objects and has achieved such success as has attracted world attention: The average total recovery rate is 23.50 percent, the significant curativeeffect rate is 40.70 percent, and more than 99 percent patients have achieved therapeutic effect to different extent. Fact as this proves the scientific attribute of one of the basic viewpoints of hunyuan medical science—all diseases can be cured. 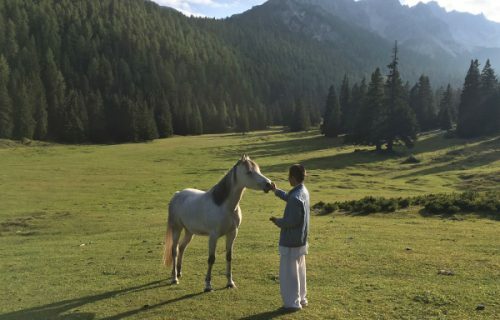 It is believed in hunyuan medical science that the various diseases people suffer from are the result of the abnormal changes that have taken place in different levels of their hunyuanqi. Now that normal hunyuanqi can mix and merge with hunyuanqi in the outside world, causing variation and bringing about disease, it must be able, on the very basis of disease, to mix and merge with the outside world hunyuanqi again and bring about variation and become normal again. That is to say, all diseases are reversible. The 47,864 patients have covered 209 kinds of diseases. 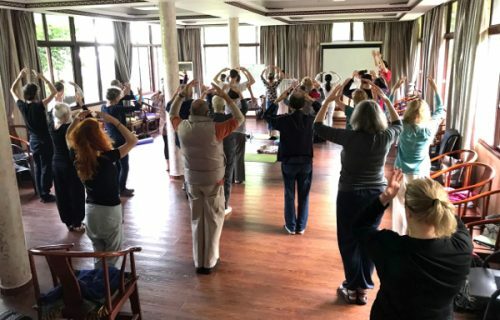 Such a big number of patients and so many kinds of diseases are all treated with the same and relatively simple method (to practice Zhineng Qigong and to receive external qi treatment) and relatively good curative effects are obtained. This shows the unique characteristics of hunyuan medical science and also proves another basic theory of hunyuan medical science—the process of curing disease is the process of strengthening human functions. To treat illness with hunyuan medical science does not focus on the condition of the disease. Instead, it focuses on the motion of human hunyuanqi and restores the hunyuanqi that has lost its normal movement to the normal condition. That is to say, it cures disease not by differentiating the symptoms or by distinguishing the diseases. Therefore, by “holding one fundamental and curing ten thousand substantial”, it is a therapeutic method that is simple and convenient to use while highly efficacious. In addition: HuaXiaZhinengQigongRecuperationCenter received and treated 2088 patients (patients with malignant tumor not included) from March to June, 1998. 731 of them recover from their disease, which amounts to 35.01 percent of the 2088 patients. 488 of them have significant curative effect, which amounts to 23.37 percent of the total number. The treatment of 862 among them is effective, which accounts for 41.28 percent.